Unity Tweak Tool is a customization tool similar with GNOME Tweak. It helps you to customize many things in Unity just by click. We will use it often when we customize our Unity later. It is available on Ubuntu official repository. If you are not using Ubuntu (Unity), then you will never need to install Unity Tweak. 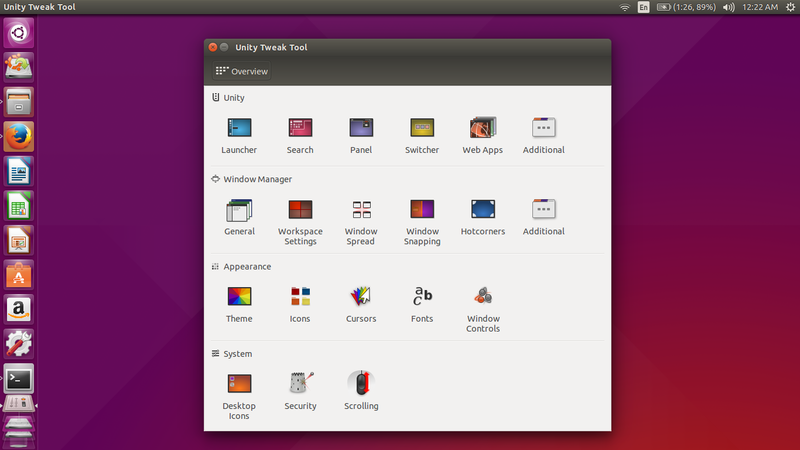 Open Ubuntu Software Center > search for unity tweak > press Install.